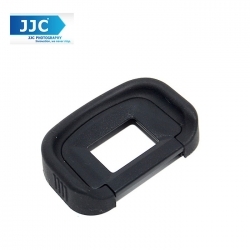 The JJC EC-5 Eyecup is a replacement eyecup for the Canon EOS 5D Mark IV,EOS-1D Mark IV, EOS-1D Mark III, 1Ds Mark III, and 7D cameras. Camera eyecups provide cushioning around the camera's eyepiece, and are especially useful to eyeglass wearers. EC-5 replaces Canon Eg Eyecup.